Many bipedal species walked the untamed planet, until one day, it was only us. How did we become us? The documentary aims to explain this profound question with the search beginning in the Afar. Despite the area a place plagued with ancient rivalry and conflict, Zeresenay sets out to search for fossilized evidence of our ancestors. Walking in the dry arid region, he discovers a tiny skull protruding from the sand. The geology of the nearby area reveals white bands of volcanic ash that are dated to 3.4 Mya. With the sands above it being younger, the find receives the date of 3.3Ma. Excited, he takes his find to the museum and begins the arduous task of removing it from the sandstone. He names it “selam,” the local word for “peace.” Working hours on end, removing grain by grain, Selam is fully revealed after 8 long years. 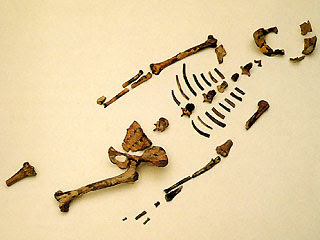 Selam is in fact a young Australopithecus afarensis. To know its age, a CT scan of the mandible/maxilla proximity was taken, which revealed embedded growing adult teeth. From this data, it is inferred that Selam was 3 years of age when it died. Selam was compared to Lucy, who is also an A. afarensis and considered the “missing link.” A scientist compares the pelvis of Lucy to that of an ape and explains that from the waist down, Lucy and Selam were bipedal, but from the waist up they were still ape. New science may help produce new answers. With new advances in science, we now have the molecular clock. We can see the rate of change, the DNA sequences, and it travels back to 6Mya – way before the “missing link” and Selam. What came before Lucy and Selam? The fossil record is dry and incomplete, providing no solid evidence. Michel Brunet and his find. 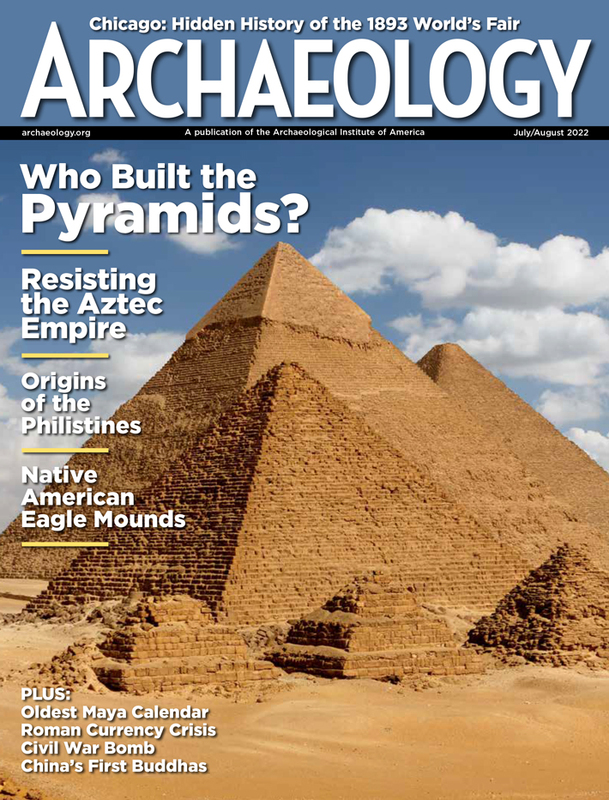 But then, a stubborn and determined French archaeologist decided to search elsewhere. Michel Brunet took his search to the vicinity of Lake Chad. He scoured the grueling environment, coming up empty year after year. 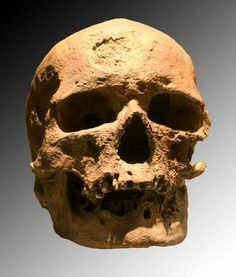 After his 26th expedition in 2001, he discovered a smashed skull. It was dated to ca. 6 Mya, providing fossil evidence to corroborate the molecular clock’s data. 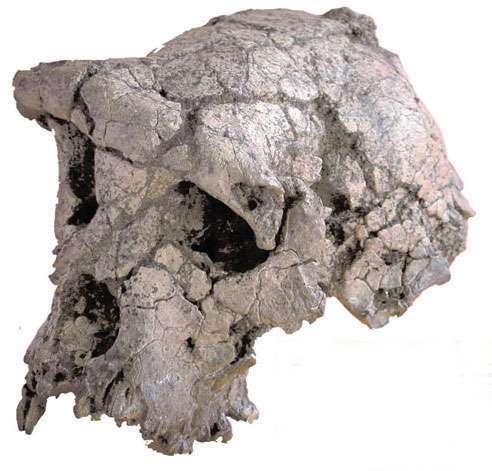 The skull, Sahelanthropus tchadensis, was taken to a particle accelerator facility in France, where it was reconstructed using 3d images and reproduced in some sort of a 3d plastic printer. From data and the spine, he inferred that it walked upright – becoming the oldest bipedal organism. 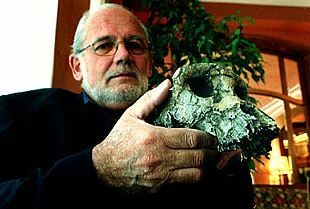 It is important to note that the documentary stated some scientists debate the finding and that if he is right, S. tchadensis becomes a good candidate. The documentary brought up another question. 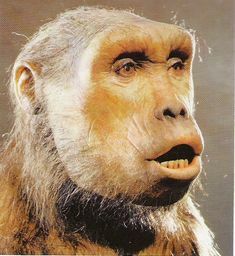 From Lucy to S. tchadensis, Orrorin tugensis, Ardipithecus ramidus, A. afarensis, and Kenyanthropus platyops, they all exhibited bipedalism and chimp sized brains. Which one led to us? After their brain size flatlined for nearly 4Ma, what jump-started brain growth? Scientists aim to answer these questions in the documentary. They explain that one key difference is the length of the childhood between apes and humans. We know that the chimps’ development is fully formed by 3 years of age, while in humans the growth spurt is slow, taking 2 decades to fully mature. For example, looking at endocasts from chimps at age 3, we see that 90 percent of their brains are fully formed. 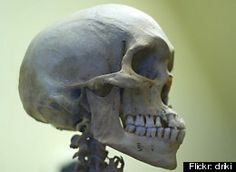 But comparing that to a cast of Selam’s skull, it suggests that Selam was growing up slower. 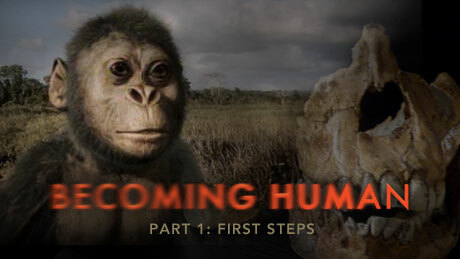 Was this the transition to becoming more human and less ape? A scientist with a vast collection of endocasts explained that part of the rear brain moves back, making room for a bigger part and the thinking part of the brain. I think the significance of this is that while Selam’s brain was small, it was in its rewiring stage. 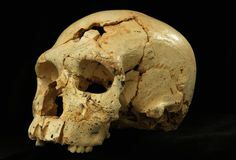 To correlate these brain changes, we find early stone tools in the fossil’s environment. How the stone was broken into a tool reflects primitive thinking. 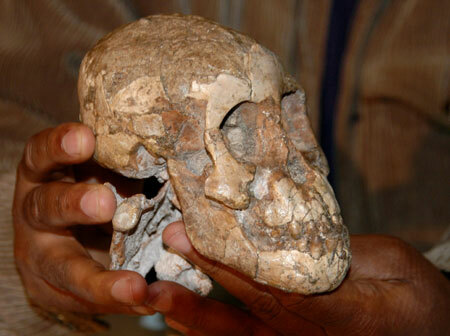 Which hominin led to us? Which showed a change in brain size? 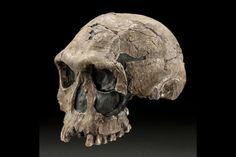 Enter the new fossil evidence of Homo habilis. 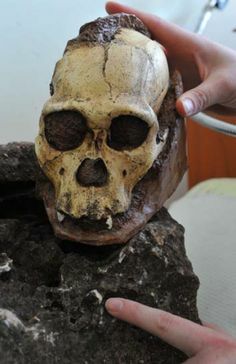 This hominin displayed a bigger brain size, from 400cc to 700cc – a major change in brain structure. 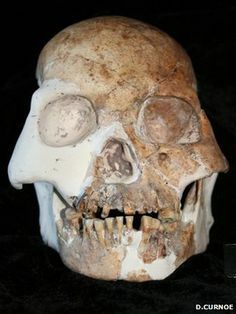 It even starts to look like a modern human. Cut marks on the bones of fauna and meat diet suggested more complex thinking and tool diversity. It still leaves the question, after millions of years of no brain change, what caused the brain growth? In the dry regions such as where Selam was found, geological data paints a different picture into its past climates. They found that the valley was a giant lake, rich in pulsating wet and dry seasons, a place with monsoons, rivers…all fluctuating. They extract cores of sediments from the deep sea to get a better picture, and see periods of wet and dry, giving more support to the sediment geology found on land. Even the rock formations are composed of ‘diatoms’, organisms that live in water. After erratic periods of wet and dry, everything started drying up. Scientists argued that this change in climate pushed the brain to grow. 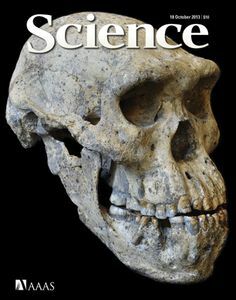 Better problem solvers like Homo habilis survived, whereas A. afarensis died out. Our ancestors adapted to change, propelling us to where we are today – wonderful creatures of climate change. Previous PostA 5 minute environmental ‘film’ I created using Final Cut Pro.Next PostA quote from Carl Sagan at the end of his book.